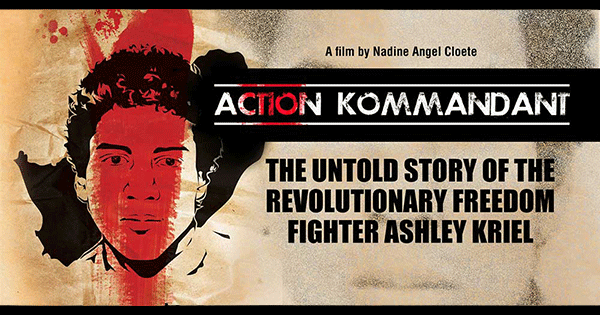 IF YOU didn’t manage to secure tickets to the Ashley Kriel documentary, Action Kommandant: The Untold Story of a Guerrilla, because tickets sold out, there’s good news. Due to popular demand, the festival’sorganisers added two more screenings in Cape Town and Joburg. The documentary premiered in Cape Town’s Cinema Nouveau at the V&A Waterfront on Friday. The documentary delves into the life of the anti-apartheid student activist who was killed in front of a Hazendal house in Athlone on June 9, 1987. He was 20. Evidence strongly suggests that Kriel was murdered rather than accidentally shot as claimed by police captain Jeffrey Benzien at the Truth and Reconciliation Commission (TRC). Benzien was granted amnesty for Kriel’s death in the 1990s. The making of the documentary and evidence uncovered, as well as a story published in the Cape Argus, prompted the Hawks to reopen the case this year. Nadine Cloete, the woman behind the documentary, recently arrived in the city after the film had its world premiere at the Seattle International Film Festival. Cloete told the Cape Argus she was excited about rubbing shoulders with some of the world’s most renowned filmmakers. Her documentary screened on May 27, celebrated as National Memorial Day in the US, before an audience of 50. Cloete said she loved it when Africans came to her screenings. “There was a couple from Zimbabwe and another filmmaker from Senegal. Some of the questions I got from the American audience was, if I thought the Western sanctions helped South Africa during apartheid. “Those questions are a bit difficult to answer because you want to be a good ambassador for your country and explain the realities of the situation. “I said that we don’t have the apartheid laws anymore but people still have the same mindset. That is the thing they need to change – to work on that,” Cloete said. She also addressed an American high school after the premiere where she spoke to students about the historical significance of Kriel’s life. “Speaking to the students was something great. It is a bit of pressure because you are really representing your country. That was something intense, especially talking about the TRC process. The documentary will be screened in Cape Town throughout the weekend and in Joburg tomorrow.